The minimum income for sponsorship is, generally speaking, 125% of the federal poverty line. Each year USCIS publishes a chart showing the minimum requirements, depending on the number of people in the household. IIIC can help to determine what these requirements are in individual cases. Along with the Form I-864, the sponsor must submit a copy of the most recent federal tax return plus Form W-2. Submission of returns from the two prior years is optional, but the adjusted gross income for those two years still must be listed on the form. In addition, we recommend submitting a letter from the sponsor’s employer on business letterhead stating what the job is, how long the sponsor has worked there and the level of earnings either annually or hourly for a certain number of hours per week. The sponsor also is advised to provide copies of pay stubs for the most recent three pay periods. In cases where the sponsor is self-employed, an affidavit attesting to the kind of business conducted and the amount earned can be submitted instead of an employer letter. IIIC can help in drafting such an affidavit and we can notarize it. In some cases the sponsor does not have adequate income from employment but owns certain types of assets, the value of which can make up the shortfall. And in some other cases the intending immigrant’s own income or that of another household member can be added to that of the spouse to meet the minimum requirement. The I-864 affidavit of support is legally binding for the life of the sponsor unless the beneficiary immigrant becomes a US citizen, works legally for ten years in the US, abandons his or her green card or dies. Note that divorce does not void the affidavit. By making the affidavit, the sponsor is agreeing to support the immigrant if necessary and to reimburse any agency that provides Federal, State, or local means-tested public benefits to sponsored immigrants. 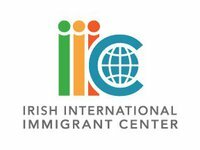 Visit one of our legal clinics advertised in the Irish Emigrant for a free, confidential consultation on this or any other immigration issue. Disclaimer: These articles are published to inform generally, not to advise in individual cases. Immigration law is always subject to change. The US Citizenship and Immigration Services and US Department of State regularly amend regulations and alter processing and filing procedures.